The company SILON (leader in innovative high-grade PE-Xb material) successfully organised in May 2018 a unique event for TOP 40 customers from all over the world, which was mainly related to the strategic topic – water transport safety. KWD-globalpipe, 05.06.2018. Silon carefully selected top industry experts to speak at this event, giving customers the opportunity to hear first-hand experience and share solutions to overcoming the latest challenges in the field of plastic pipe production. The unique event was held in an extraordinary place –the Prague Waterworks Museum. The exhibition here preserves in chronological order the historic development of the Prague waterworks, starting with the first private water ducts from the 12th century, continuing with the Vltava waterworks in the Renaissance, waterworks activities at the end of the 19th century up to the current management of the water supply for Prague. Dr Ronald Voigt (CEO SILON s.r.o.) 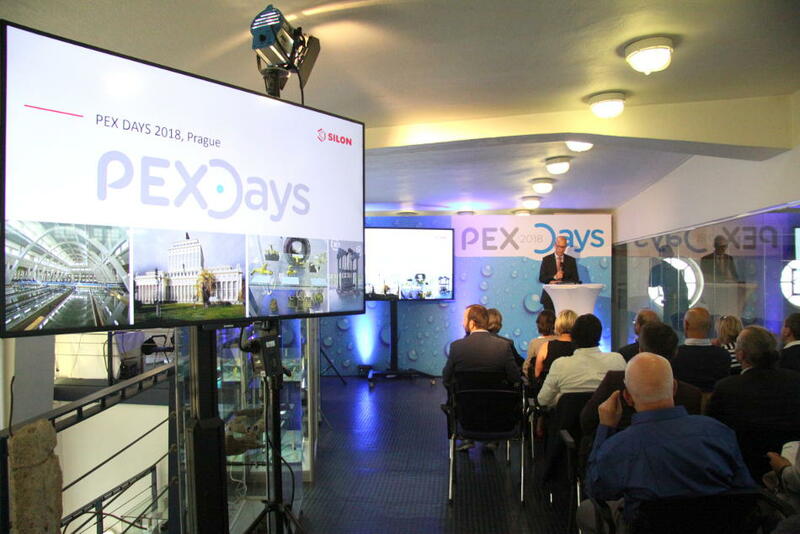 said at the opening of the second “PEX DAYS” conference: “I hope your attendance at PEX DAYS in PRAGUE is just an additional part of our long-term business relationship and we will have the opportunity to make a lasting contribution to your company´s profitability and success”. 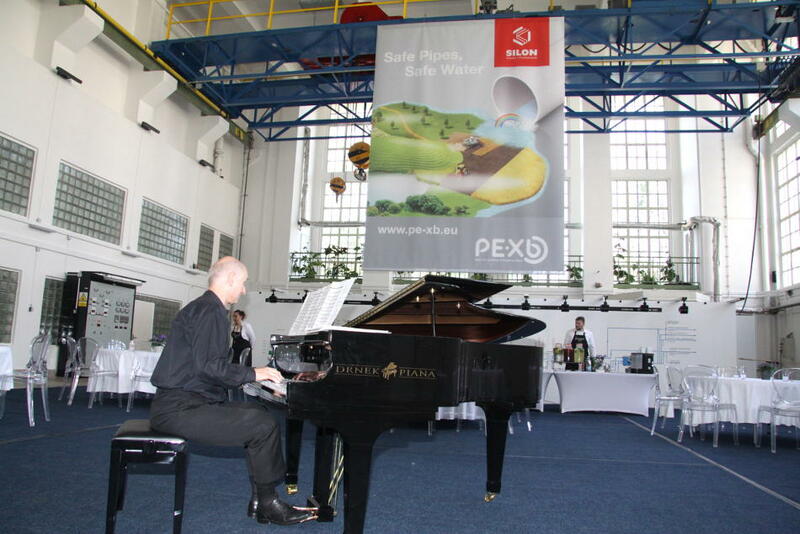 The first PEX DAYS Conference took place in September 2014 in the Prague area (see KWD-globalpipe 530, 17.09.2014). 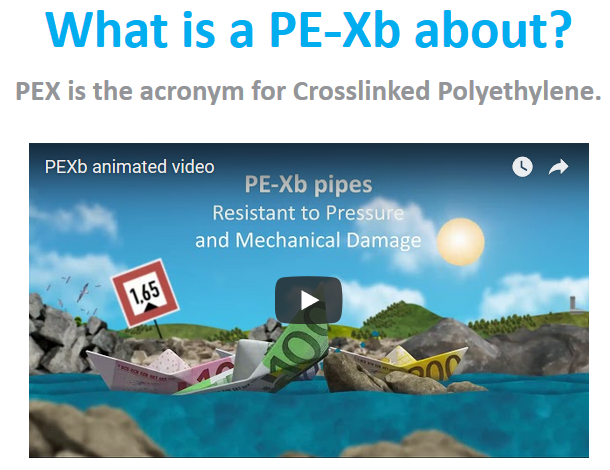 Crosslinked Polyethylene (PE-X) contributes to greater safety and comfort in our daily life. The three-dimensional network in the material is the main contributor to its superior performance, which is favored by many key building and developer projects. The popularity of PE-Xb material is confirmed by numerous market researches. Silon uses the unique place in Museum of the Prague Waterworks for “creating of specific evaluation” – Hall of Fame award, which was made through famous cartoonist from Croatia – Nenad Barinič. 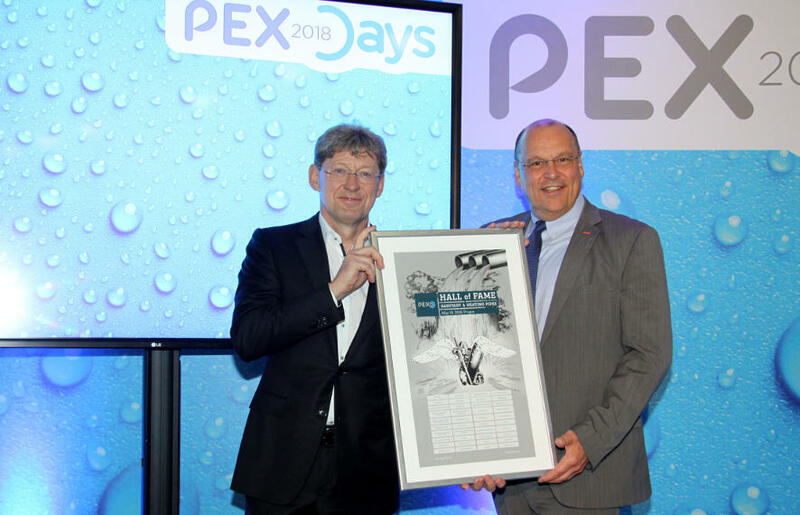 (From left: Dr. Bernd Morawitz and Wolfgang Putz.) photo: Silon s.r.o. SILON´s marketing department i ntroduced its long-term marketing strategy, which generally promotes greater visibility of safe water transport. The main focus was on increasing the PE-Xb (Taborex) market share on the relevant markets and customer support and market preparation related to the introduction of new pipe. The key visual “Safe Pipes, Safe Water” was incorporated in all marketing-mix materials. The marketing department presented for the first time to PEX DAYS attendees a new animated PE-Xb video, which can be seen on YouTube (PEXb animated video) and the special microsite www.pe-xb.eu as well.